As an entrepreneur, Kristi has conceived, planned and launched four companies, including a successful yoga studio and the only full-service integrated advertising and marketing agency for women, by women. She is currently president and co-founder of Womenkind, where she advises clients who need and want to better reach, engage, and influence women. A wine enthusiast, Kristi recently earned the Level 1 pin at the Court of Master Sommeliers, and hopes to progress to Level 3 next year. Bill Burnett is the co-author, with Dave Evans, of DESIGNING YOUR LIFE: How to Build a Well-Lived, Joyful Life (Knopf, 2016.) Bill is a Consulting Assistant Professor at Stanford and currently the Executive Director of the Design Program. 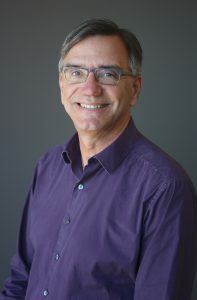 He directs the undergraduate and graduate program in design at Stanford, both joint programs between the Mechanical Engineering department and the Art department. He got his BS and MS in Product Design at Stanford and has worked professionally on a wide variety of projects ranging from award-winning Apple PowerBooks to the original Hasbro Star Wars action figures. He holds a number of mechanical and design patents, and design awards for a variety of products including the first “slate” computer. In addition to his duties at Stanford, he is on the Board of D2M, a product design consultancy, Dalson Energy, an alternative energy company focused on developing biomass gasification energy systems for small-scale municipalities, and advises several Internet start-up companies. Steve Gross is Vice President, State Relations at Wine Institute, where he has been employed since 1986. Steve’s duties entail overseeing the activities of Wine Institute’s six State Relations Regional Counsels and Regional Managers as they address state legislation affecting the wine industry, as well as coordinating Wine Institute’s legislative and regulatory activities with staff, contract lobbyists and member wineries. Steve regularly participates in many national programs dealing with issues facing the wine industry, both on the legislative and regulatory levels. 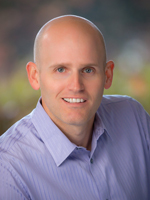 Steve serves on the Board of Directors of the California Council for Environmental and Economic Balance (CCEEB). 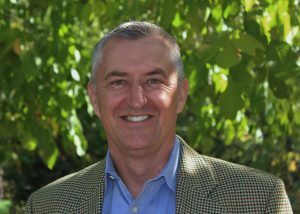 He also serves on the Sonoma State University Wine Business Institute’s Executive Board. A native of Nebraska, Steve brought to Wine Institute knowledge garnered during his ten years of employment in the on-sale food and beverage industry, as well as extensive experience in political campaigns and legislative activism. Larry is General Manager of ShipCompliant by Sovos. Sovos’ ShipCompliant software platform enables and automates the distribution of alcoholic beverages, through Direct-to-Consumer and 3-Tier channels, by beverage alcohol producers and suppliers. With over 15 years of experience in the market, ShipCompliant is the go-to compliance solution for thousands of producers and suppliers. As General Manager, Larry sets the strategy for the product roadmap and directs the company’s customer-facing activities. With over 25 years of executive leadership in the software industry, Larry brings a strong customer-first focus to ShipCompliant. His undergraduate degree is from the University of Texas at Austin and his graduate degree is from Rutgers Business School. He and his family live in Boulder, CO which is also where ShipCompliant is located. 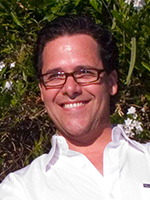 Jeremy is founder and president of Benson Marketing Group, a leading wine and spirits marketing agency. The company provides brand strategy, PR, digital marketing and advocacy marketing services from offices in Napa Valley, New York and Lyon, France. He also serves as executive director of Free the Grapes!, the presenting organization and beneficiary of the DTC Wine Symposium, now in its 12th year. The team at Benson Marketing Group coordinates the industry summit. Prior to beginning VingDirect in 2009, Tammy served as the head of Foster’s Wine Estates US Direct to Consumer division where she spent 2 years as the acting President of Windsor Vineyards, which is the largest US shipper of wine direct to consumer utilizing outbound telemarketing as the primary sales channel, and 3 years as the President of International Wine Accessories. 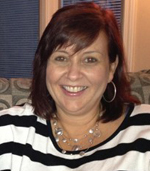 Beginning with her position at Collin Street Bakery as General Manager of Cryer Creek Kitchens, a producer of specialty baked goods, Tammy has 20+ years direct marketing and general management experience. 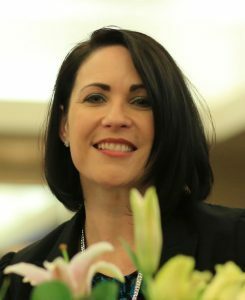 She is a frequent speaker at industry conferences, and VingDirect is the recipient of the North Bay Business Journal’s 2014 award for direct to consumer in the wine industry. Miryam Chae has spent the last 15 years working in Direct to Consumer marketing and operations. Prior to this, she spent several years working with brands such as Visa and KPMG focused on brand and database marketing. When not driving DTC sales, she spends her time running a nonprofit for the local animal shelter as well as fostering countless dogs with her family. 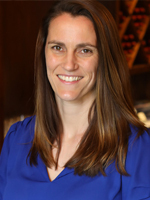 Nicole Cummings served as the first HR Manager for Cakebread Cellars from 2001-2006 and rejoined the winery in June 2014 as the head of Human Resources. She oversees recruitment, selection, talent management, development and implementation of various employee and leadership training, compensation, benefits, employment compliance, safety, and performance management. Nicole graduated from California State University, Chico with a B.S. in Business Administration with an emphasis in Human Resources, and obtained her Executive MBA from the University of Nebraska, Omaha. She holds the Professional in Human Resources certification, was a 2012 recipient of the Midlands Business Journal’s “40 Under 40” award and is an active member of the Society of Human Resource Management, Forbes HR Leadership Council, Wines, Vines, and HR, and is on the citizens advisory committee for the Napa Valley Transportation Authority. 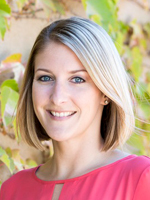 Nicole resides in Napa with her husband and two children. Lamar Engel came to the bay area as a touring rock musician in 1999. Cutting his teeth on the wine industry as a sommelier in restaurants in San Francisco as well as pouring wine in winery tasting rooms and hauling hoses in cellars throughout Napa Valley. During this time Engel became mentored by some of the world’s greatest Master Sommeliers including Larry Stone and managed wineries for multiple prestigious wine families including the Coppola family. In 2008 he began to mentor young wine professionals and sommeliers in multiple tasting groups throughout the bay area, putting on small unique wine tasting experiences and events. Engel began a small wine consulting to take on sales and brand development for brands such as Somerston, Priest Ranch, Trinitas & Caduceus. With the rapid growth of these wine experiences, events, and consultations; Engel formed a small army of wine professionals and sommeliers, launching his company aptly named ‘The Wine Militia’. Engel and The Wine Militia have seen success in wine marketing, wine label re- branding, winery and tasting room build outs, restaurant consultation, wine education and corporate wine events. 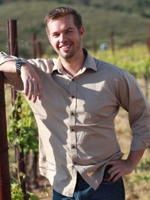 Brendan came to Wente Family Estates in 2011 to oversee hospitality and the direct retail wine business. While at Wente the team and he created a new club member experiences spaces and events to acquire and retain members. In 2015 The Winemakers Studio was established as an entertainment education experience location to tell the Wente and Livermore story. The education experiences include classes that include food and wine pairing, blending your own wine bottle, aroma and varietal selected classes. The team also added guided vineyard experiences paired with a sit-down dinner at the property by local Livermore Chefs. The team enhanced Murrieta’s Well with a full renovation and enhanced the overall guest experience on property with private club area with food pairings and upgraded seated tasting experiences. This year the highlight was at the Arroyo property with the Wente Vineyard Table experience Friday through Sundays that introduces Wente small lot wines paired with a 3-4 course food experience that focuses on Wente own garden, olive oil and cattle program. On Sundays the caves at Wente are created to enjoy with a tour and relax in the caves with a wine and cheese experience. He and the team enjoy reimagining and creating new hospitality experiences with his team at Wente. Tracy is a seasoned Beverage Alcohol attorney who specializes licensing, federal and state regulations, franchise laws and distribution agreements. In addition, she has advised beverage alcohol companies on sales, marketing and digital advertising platforms, including contests, promotions and sweepstakes. Tracy has represented clients before Federal Agencies such as the Tax and Trade Bureau and the Federal Trade Commission and testified before the House Judiciary Committee on behalf of the wine industry. Tara grew up in Texas – and moved to Texas wine country after spending over 10 years as a media professional with The Austin-American Statesman, Austin360, The Onion, and was promoted to a content strategist position overseeing multiple publications under Cox Media Group’s digital communications division. Following a successful career in freelance journalism, she was tapped to provide public relations consulting for a number of clients in the hospitality industry including music festivals, new restaurant concepts. 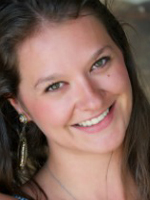 Before leaving Austin for the Texas wine country Tara worked on branding efforts supporting B2B sales on behalf of Fortune 500 food and beverage manufacturers like Keurig Green Mountain Coffee Company. 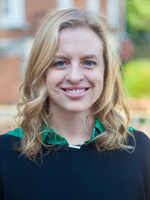 Tara graduated with a bachelor’s degree of Behavioral Science in Communications and Political Science where she also got her start as a lead editor in the office of student publications. She has been a part of the William Chris team since February of 2017 where she has since led the implementation of new marketing automation systems and directs all public relations initiatives. The son of Tablas Creek Vineyard founder and renowned importer Robert Haas, Jason learned the wine business at an early age, accompanying his family on yearly European wine-buying trips and spending two summers working at Château de Beaucastel. 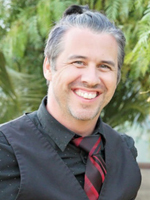 After obtaining a Master’s Degree in Archaeology from Cornell and spending a four-year stint managing a tech company in Washington, DC, Jason moved to California to join Tablas Creek in April of 2002. At Tablas Creek, he oversees the business, winemaking, and sales and marketing operations. 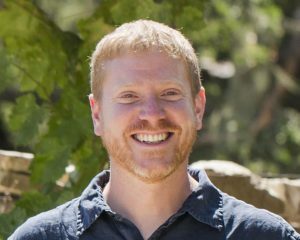 In addition to his work at Tablas Creek, Jason is Vice Chairman of the Board of Directors of the Paso Robles Wine Country Alliance, a past president of the Rhone Rangers, and a former board member of the Family Winemakers of California. His writing has been published in Wine Business Monthly, Wines & Vines, Decanter, Wine Industry Network and Zester Daily, and he is the principal author of the Tablas Creek blog, which has been a finalist at the Wine Blog Awards for Best Winery Blog eight times since 2008, winning in 2008 and 2011. In recognition of his contributions to the Paso Robles wine community, he was voted by his peers 2015 Paso Robles Wine Country Wine Industry Person of the Year and 2017 San Luis Obispo County Wine Industry Person of the Year. Hope leads the design and execution of integrated marketing strategies and ecommerce initiatives for Sonoma-Cutrer Vineyards and KORBEL California Champagne. Hope joined Brown-Forman in 2005 and has developed innovative strategies for an array of Brown-Forman brands. She is passionate about connecting brands with consumers through innovative storytelling. DTC Wine Workshops Consulting and Training Firm supports wineries throughout the nation in the areas of DTC Sales Strategy, Wine E-Commerce, CRM and Training Services to grow direct-to-consumer wine sales and retain loyal customers. 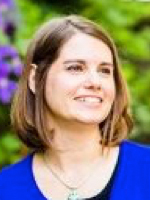 Sandra founded DTC Wine Workshops in July 2013 to serve winery stakeholders and management teams ready to leverage ideal blends of technology with best practices to capitalize on what is now over a $2.3 billion industry in wines shipped in the US. Sandra launched the DTC Consultant Network in August 2014 to offer a full-service solution to wineries of all sizes by matching direct wine specialists with winery teams on a project or retainer basis. DTC Wine Workshops is a recognized leader in winery staff training services and strategic solutions. Pamela began her career in specialty retail, helping Bed Bath & Beyond, Smith & Hawken and Restoration Hardware grow their businesses from early entrepreneurial stages to thriving multi-store chains. After overseeing seven stores in the San Francisco Bay Area as a District Manager, Pamela escaped to Napa Valley , bringing 15+ years of proven retail sales strategies to the evolving wine industry DtC channel. 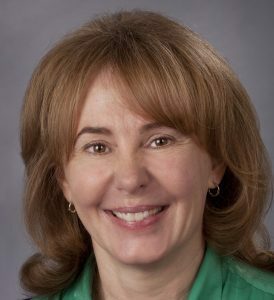 Today, as a service design specialist, Pamela combines her expertise from two industries, creatively utilizing the best strategies from both to improve business performance and help her clients develop customer-centric processes and programs that maximize sales, increase profitability, and bring maximum value to every experience. 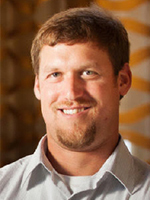 Born in Napa and raised in Sonoma Valley, Adam attended both Sonoma Valley High and Justin Sienna High school. His interest in wine began at the age of 14 when he started working at Viansa Winery. Adam received his B.S. in Enology from Fresno State University and an MBA in Wine Business from Sonoma State University. He went on to make wine at Cathedral Ridge Winery in Hood River, Oregon as a consulting winemaker during harvest for a couple of years. He received tasting room and sales experience working at Benziger, Imagery and Highway 12 Wineries in Sonoma Valley in 2006. He spent roughly a decade as winemaker at Highway 12 Vineyards & Winery in Sonoma Valley with Michael Sebastiani and Paul Giusto. Eventually, Adam founded Gliding Eagle Inc. with his partner and CEO, Jack Duan to help others in the wine industry develop a trusted international DTC channel. He currently owns two brands that he makes wine for, Subterra Wines and Solid Wine Cellars. Carla develops and executes all DTC business, sales and marketing operations, including the Tasting Room, Wine Club, Guest House, and Marketing. She has owned or operated businesses beginning with her family’s greenhouse and floral design business in Michigan. Carl moved to California 20+ years ago and settled in wine country in 2006, merging her passion for business with a love of wine. 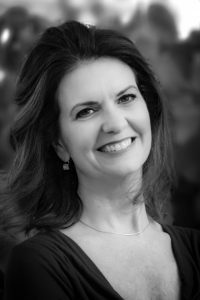 She serves on multiple business and community boards and was a founding member of the 30+ downtown Healdsburg wineries, Wine Walk Healdsburg Alliance. She is current President of the Board of Directors for the Wine Road. “The greatest thing about being a Scotsman in the California food and wine business is that everyone has very low expectations of your abilities.” This is a perfect example of a micro story. I’ve used this quip for 20 years as the power of the story has grown to become central to my life. From the sometimes-dangerous street theatre of night time Edinburgh, Scotland, to producing stories at BBC Radio, to the flourishing wine narratives of California and a regular newspaper column on wine-based experiences. Stories matter because as competition in this business increases, those of us who practice the art and craft of superior storytelling, in all strata in our businesses, will surely stand out above the crowd and bask in the applause of wine sales. Jim Morris is a senior level adult beverage professional. He has worked in creating memorable, authentic experiences for customers in the tasting room and beyond. He has focused his efforts in providing next level hospitality that fit the brand, clientele, and desires of the winery owner. Morris is the Vice President, Estate Manager & Guest Relations at Charles Krug Winery, Napa Valley’s oldest winery. He leads an experienced team of professionals who execute amazing guest experiences, run a unique wine membership program, creates strategic partnerships, and manages spectacular events. Prior to that, Morris was part of successful winery launches (St. Anne’s Crossing/Truett Hurst) and participated in the buildout/launch of new locations for Flanagan Winery, MacPhail Winery, and Martin Family Vineyards. He was also General Manager of Michel-Schlumberger Winery. He has experienced all sides of the wine business throughout his career including national sales “dragging a bag” locally and nationally, DTC sales, created large and small events and successfully run tasting room/retail operations. 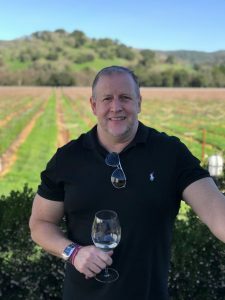 He is very active in social media circles and is known throughout SM as @sonomawineguy, though with his relocation to Napa, he has the @napa_wineguy handle as well. A digital marketing expert by trade, Dave spent the first half of his career helping Fortune 500 companies build their businesses online before pursuing a career in his true passion: Wine. Dave’s unique perspective on the wine industry is rooted in being a longtime wine collector and visitor to more than 200 wineries across the world. After founding a winery marketing and customer experience company, Dave built the DTC business at Santa Barbara County’s largest winery, including launching a first-of-its-kind wine personalization app and an award-winning winery tour experience. Dave now oversees all aspects of DTC at Sunstone Vineyards & Winery in Santa Ynez Valley. A previous speaker at the DTC Wine Symposium Dave has also won a “Vinnie” Award for Excellence in Wine Marketing and recently passed the Court of Master Sommeliers Level 1 Certification Exam. 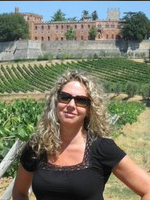 Rhonda Motil is VP Marketing of J. Lohr Vineyards & Wines. She previously served for over ten years as the Executive Director of the Monterey Vintners & Growers Association. Prior to entering the wine industry, Rhonda was a marketing executive in the technology industry. 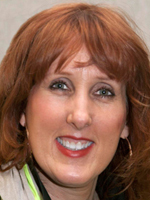 Rhonda is a frequent guest speaker at both industry and marketing events. Over the past year, Rhonda has participated as a panelist or moderator at the Wine Industry Technology Symposium, the Wine Institute Annual Marketing Conference and the Wine Business Packaging Symposium, to name a few. Prior to speaking engagements where Rhonda represents J. Lohr, she was a frequent participant on panels educating audiences on the Monterey wine and grape industry. This included serving as the California delegate for the annual Asian market presentations and tastings on behalf of Wine Institute at California wine sessions in Tokyo, Seoul and Taipei. 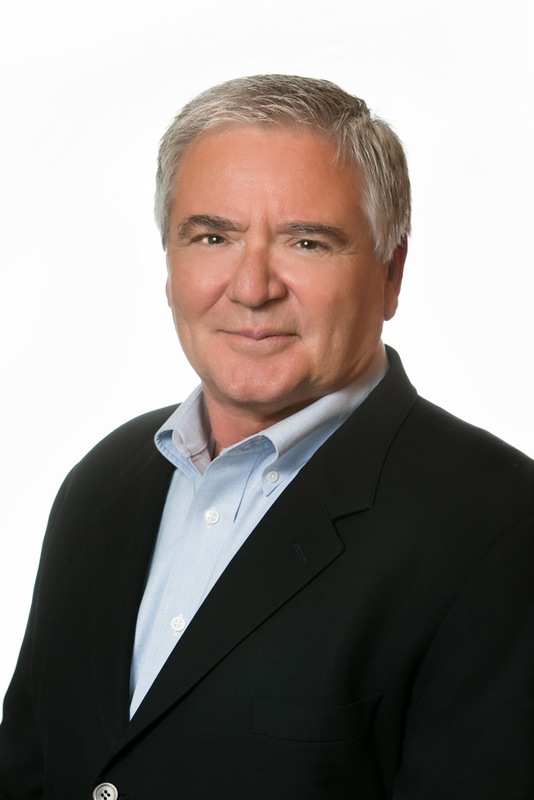 David Newlin brings 30 years of executive recruiting and management consulting experience. In 2002, David founded Newlin Associates, the first search firm in the wine industry to utilize a personality assessment tool, which increases the accuracy of identifying candidates with the right Job Fit and Culture Fit that results in de-risking the recruiting process. 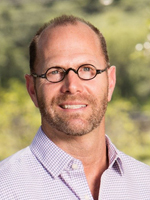 In addition, David is the only recruiter in the wine industry who is certified in Performance-based Hiring, a re-engineered, breakthrough and end-to-end approach to executive search. He is regularly consulted about recruiting processes, leadership, team and culture development issues. 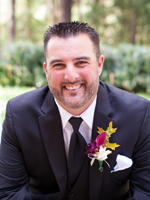 David is a graduate of San Jose State University, with a B.S. in Finance/Economics. He is also certified in the Myers Briggs Type Indicator and is a Master Practitioner of Neuro Linguistics Programming (NLP). 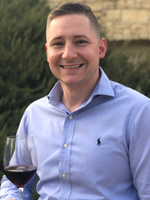 After a 15-year career in teaching and coaching, Chris Puppione transitioned to a life of wine in 2012, taking a position in hospitality with Robert Mondavi Winery. Over the years, he accelerated his learning by way of education and diversified his experiences within the industry, working in the vineyard, cellar, visitor’s center, marketplace, and boardroom. Chris would go on to be Marketing Manager for the the small yet acclaimed Russian River Valley winery Joseph Jewell, then the world-renowned importer Martine’s Wines, telling the stories of over 50+ brands from France, Italy, Portugal as well as a few domestic wineries. 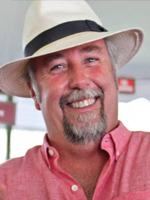 He now writes for retailer K&L Wine Merchants and teaches WSET courses for the Napa Valley Wine Academy. He approaches each producer, each wine and each consumer as “an experiment of one,” believing that delivering authentic stories at the individual level leads to aspirational engagement. Much of his career has been focused on sales, relationship management, consumer engagement and experiences, as well as, brand development. Before entering the wine industry, Robert worked for 10 years in the financial services industry managing a large portfolio of high net worth clients. From there, he started two successful businesses 1) a wholesale distributorship working with 15 different European artists and 2) a Design / Build development firm. After being self-employed for 13 years, he returned to graduate school at Dominican University where he earned his MBA in Sustainable Enterprise, which focused on the wine industry. In addition, he holds a BA in Business Communications from National University. Sam Schmitt grew up in the Midwest and by way of a 15 year “layover” in Arizona, now calls Portland, Oregon home. After more than 20 years as a business owner and management consultant, he turned his passion for wine into a second career by starting a successful wine bar in Scottsdale, Arizona and eventually becoming a Certified Sommelier and Certified Wine Educator. 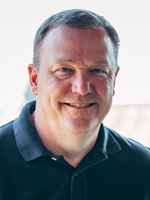 In 2016, Sam joined Adelsheim Vineyard in Oregon’s Willamette Valley as Director of Consumer Sales and is now Vice President of Trade & Consumer Education. Sam considers himself a wine enthusiast first and foremost who also happens to be a wine professional. His fascination with the history, art, science, and community surrounding wine drives his passion for engaging wine enthusiasts of all experience levels to help them discover that next great bottle they can’t wait to share with friends and family. Born and raised in Sonoma County, Claire Smith grew up in Sebastopol in a family of seven who gathered around the dinner table for home-cooked meals. Her father always uncorked a bottle of wine to pair with her mother’s recipes, instilling in Claire a deep appreciation for the marriage of food and wine. 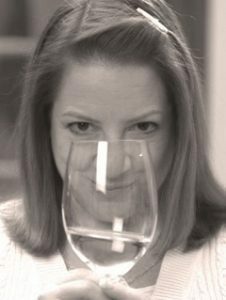 She began her wine career as wine educator for COPIA in Napa in 2006, where she further developed her wine knowledge, completed the advanced level of the Wine & Spirit Education Trust (WSET) and honed her presentation skills. She joined Jordan in 2009 as a Guest Services Associate, hosting tours and tastings for consumers and quickly moved into a senior host role, leading tours for trade guests and managing the retail merchandise. In early 2016, Claire returned to her roots and was promoted to Wine Educator at Jordan—a new position within the sales department at Jordan that combined her passion for wine education and her excellent project management skills. Claire was promoted to Guest Services Manager in early 2017, and is now responsible for the day-to-day operations of the department, including guest reservations, staffing, Tours & Tastings, the retail area, and onsite and online sales. She collaborates across multiple departments on direct-to-consumer sales and marketing and guides her staff to develop storytelling and hospitality skills that adapt to the different guests that Jordan hosts daily, from trade to consumer and expert to novice. Specializing in the DTC wine business, Sally works with family-owned and founder-led companies to unlock the full potential of their business. 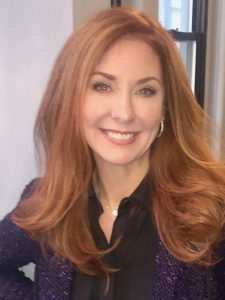 Drawing on her experience as DTC President at Francis Ford Coppola Winery — where she led the ground-up build and growth of two wineries and three restaurants along with ecommerce — she works with CEOs and Owners to uniquely position their brands in the market and fuel sustained, profitable growth while deepening consumer and employee engagement. She approaches her work with her clients’ companies becoming fully immersed in the operation and placing equal focus on the business, customer, culture and people. Sally is extremely passionate about building businesses and helping senior leaders shape purpose-driven cultures, as she believes those who authentically embed deeper meaning in their pursuit of profit can truly thrive. Her nuanced appreciation for the psychological dimensions of leadership, consumer behavior and employee motivation enable me to add unique business value to my clients. An active community leader, adjunct faculty in the Wine Marketing program at the Santa Rosa Junior College, frequent public speaker and a published author, Sally enjoys creating thought- provoking content that inspires other business leaders and young professionals to flourish, personally and professionally. 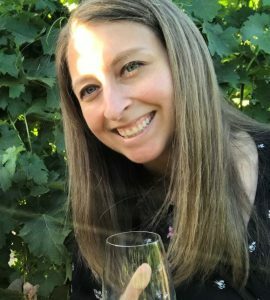 With a passion for wine and technology, and a goal to empower wineries to leverage digital tools for DTC sales success, Adrienne oversees all aspects of marketing and communications for WineDirect. Prior to joining WineDirect, Adrienne was an Account Executive with Benson Marketing Group where she led digital strategy and community management for wine and spirits clients, and she worked in product marketing for UBS Investment Bank in New York and London. Adrienne is a graduate of Barnard College, has completed the Wine & Beverage program at the Culinary Institute of America and is a Certified Sommelier. She is also the author of Where Bartenders Drink, a global guide to the world’s best bars (Phaidon, 2017). 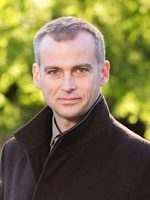 Adrian spent the last ten years building one of the most successful online education lead generation portals on the net – www.directoryofschools.com. He was instrumental in identifying the needs of the business and developing a platform to build strong client relationships. He has experience with database architecture, identifying and managing key affiliate partnerships, managing overseas developers, structuring businesses, and running day-to-day operations. A native of Kentucky, she earned her Bachelor of Science degree from the University of Kentucky and her MBA with a marketing concentration from Bellarmine University. After college, Tracy began building her reputation as a sales and marketing professional, eventually pursuing a career in beverage alcohol. Various roles in the industry allowed her to develop her skills as a marketing strategist, brand and team builder. Tracy’s love of wine began as a personal interest that she further developed through formal education and travel to various famous wine regions of the world. After joining Brown-Forman in 2005, she set her sights on joining the prestigious Sonoma-Cutrer team and was named Brand Manager in 2012. Today, she oversees all the marketing and direct-to-consumer activities for Sonoma-Cutrer in North America. John Trant brings nearly 12 years of wine industry experience after graduating with a Bachelor’s degree in Hospitality Business. With three years in restaurant service, wine list management and wine education followed by nine years dedicated to Hospitality and Business development in Napa and Sonoma, he is most passionate about sharing this experience with fellow industry members. He has worked with small startups, larger wine corporations, classic household brands and new producers. Self-described as a foodie, avid sports enthusiast and movie buff, John’s energy and appetite for knowledge has helped increase his success in his career. John currently works with a small, 5,000 case production, appointment only, family owned winery and vineyard. Italics Winegrowers is in the Coombsville AVA in the southeastern corner of Napa Valley. They offer guests a private look behind the scenes to explore the winegrowing and winemaking processes in their caves, seated tastings, and small bites pairings. In addition to the daily visitors, Italics also offers private retreats, events and releases their wines with a customizable allocation style wine club. Italics Winegrowers specializes in and produces luxury Bordeaux inspire wines; single varietal and blended wines. Janiene has over ten years of wine industry experience growing eCommerce sales, launching new tasting rooms, developing tasting rooms with innovation, and evolving Wine Clubs. She also guides with strategic management of restaurants, merchandising, a distribution center. Previously, she managed T.F.C. resorts and creative teams across the world. She joined The Family Coppola in 2000 and built her career while earning her Bachelor of Art History degree from University of California, Berkeley. Her unique worldly experience lends to a genuine, authentic, thought-provoking outlook on hospitality and customer retention. Damien Wilson was appointed in August 2015 as the inaugural Hamel Family Chair of Wine Business Education with SSU’s Wine Business Institute. Dr. Wilson arrived in California with 20 years of professional experience in the wine sector. He joins the Wine Business Institute from Burgundy’s School of Wine and Spirits Business, having established an almost decade-long European professorial career after having started with the University of South Australia in 1999. Dr. Wilson’s research background started with the prestigious Wine Marketing Group, where he worked on a series of projects investigating wine consumer adoption patterns, purchasing motivations and retailing strategies. The client list extended from global organizations such as Pernod-Ricard and the Fosters group, through to generic bodies and boutique wine producers. Dr Wilson’s most recent publication in August is a working paper with the American Academy of Wine Economists on Digitizing the wine sector. Stephanie Wycoff has spent over a decade leading direct-to-consumer (DTC) sales, marketing and operations for 3k to 130k case wineries. 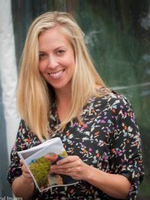 Her career emphasis has been on brand repositioning and DTC growth for luxury wineries including Anaba, Quivira, La Follette, Gary Farrell, and Seghesio. 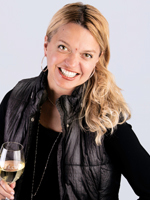 She serves on the DTC Wine Symposium steering committee and is a frequent speaker at various wine industry conferences. 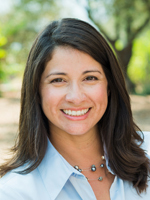 She earned her master’s degree in Wine Business from Sonoma State University in 2010, and serves as an alumni liaison to its Wine Business Institute Board of Directors. Stephanie is a winner of the North Bay Business Journal’s “Forty Under 40” award (2016), and resides in Sonoma County with her husband, their black Labrador and two cats. She began her professional life in education, taking wine classes for fun before realizing that working with children wasn’t nearly as fun as wine, and switched industries. Jess continued her studies with the International Sommelier Guild and, after a brief stint in fine dining, started working with Fidelitas in 2008. Her first focus was on the Fidelitas Wine Club, creating unique experiences for all Club members. As the business grew, so did her roll, and Jess accepted the General Manager position in 2014. Today, Fidelitas produces 6500 cases of Bordeaux‐style wines annually from the Red Mountain AVA, and sells 90% of all wine direct to consumer through two tasting room locations and a thriving Wine Club. Jess holds a BA in Psychology from the University of Washington. Copyright © 2019 Direct to Consumer Wine Symposium. All Rights Reserved.